Looks like another wet endurance event for me this weekend; this time the Open12 in the Peaks. Tonight will be mostly spent packing a kit bag without really knowing what we (me and rich) will be doing during the race! The organisers mention “stomach tightening” special stages and insist each team has items such as gardening gloves and swimming goggles with them! Mountain Mayhem 2008: have a chuffing guess. I mean really?! What’s going on?! Wayne’s support for the whole race – as well as being DJ in the way home – meant i didn’t die a death, despite my stomach doing it’s “I’m not allowing you to consume anything” trick again. He also kept the bikes going brilliantly so I never had to worry about slipping gears or owt like that and he steadfastly refused to complain or look miserable for the whole race. I don’t know how he does it; I’d have gone mental if some grumpy looking sod stumbled into the pits at 3am and demanded I sort the tyres out and raise the saddle a bit while he just sat there gazing vacantly at the floor! The course started out stupidly congested and never really quietened down (i think they let too many people race TBH). It wouldn’t be so bad if everyone was experienced at racing, but a lot of the racers are “noobs” and throughout the 24hrs you’d get processions of riders 5 or 6 people long trailing each other through all the singletrack sections. This isn’t so bad when you’ve got enough energy and strength to power past the whole group, but 18hrs in I couldn’t get past that many people in one go so ended up having to tag onto the back of the conga line on several occasions. That kinda sucked. It certainly wasn’t all bad though, the course (when ridable) was good fun…not particularly technical but fun nontheless. There was a really good vibe in the solo tent and for the most part it was the same out on the course – though i think a few people who aren’t used to racing brough some pretty crappy attitudes with them. “Team On-One” rocked, with all of us getting right up there in the results despite the conditions/stomach issues etc. The results are up on the mountain mayhem site for you to peruse…i dont remember taking 3hrs 13mins for 1 lap, but it does seem to have taken place in the middle of the night, so maybe that’s not too suprising! I’m off to eat lots of cake now, as i think i’m owed a few calories! finished building/tidying up the new scandal on saturday and what better way to check everything was correctly adjusted, tightened properly and bedded in than hammering it while racing?! The NPS series came to Grizedale so i entered the whyte enduro on the sunday and gave the bike a bit of a pasting. I can officially say that everything that sas going to come loose has now come loose and has been sorted. I’m v. happy with the riding position and overall feel of the bike, now the bars are the right width for me it felt really nice and natural…possibly slightly too long for really gnarly tech DH stuff, but then that’s not really what the bike is all about…and it didn’t slow me down on any of the swoopy, rocky singletrack or steep descents while racing, so i’m happy! The course was good fun, it was what i was hoping the wildboar24 course would be like, with lots of rocky singletrack interspersed with some fireroad climbs to break the field up a bit, so i really enjoyed myself. I only did 4 laps and didn’t go flat out on the tech stuff (mayhem is in a few days and i didn’t want to smash myself up poitlessly) but i got my heart rate up a bit, had the bike sorted by the last lap and managed to take part in another event where it didn’t rain! Yay! Kudos has to go to joolze for taking pics in the most insane places; risking life and limb on some of the most crash-prone corners for what will no doubt be cracking shots! nearly finished the new scandal (which i shall name scandal02, as i have no imagination). This one’s obviously newer than Brants; you can tell cos the decals (etching/however they’ve done the branding) on the non-drive side actually say “ScandAl” not “AlScand”! 1) cut down the fleegle pros a bit. 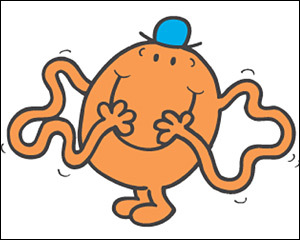 they were obviously designed to fit mr tickle comfortably. might have it built and ready to go for this weekend’s NPS marathon in grizedale – a nice last minute bit of training for the following weekend’s Mountain Mayhem. Rich is currently panicking/fixing his bike as he’s entered in the microsoft challenge, which he claims will be “good practice” for the Open12 race we’re doing together the weekend after Mayhem. I’m secretly hoping he’ll tire himself completely out so he doesn’t make me look rubbish (so if you’re in his team and are reading this, please feel free to push the pace…)!